Individuals and families, communities and our planet: those are the three focus areas in which we strive to make a positive difference. While all three are interconnected, we focus on them individually for greater impact. We have defined and made public 42 commitments to society. These commitments will in term enable us to meet our three ambitions for 2030 in line with the timescale of the Sustainable Development Goals (SDGs). 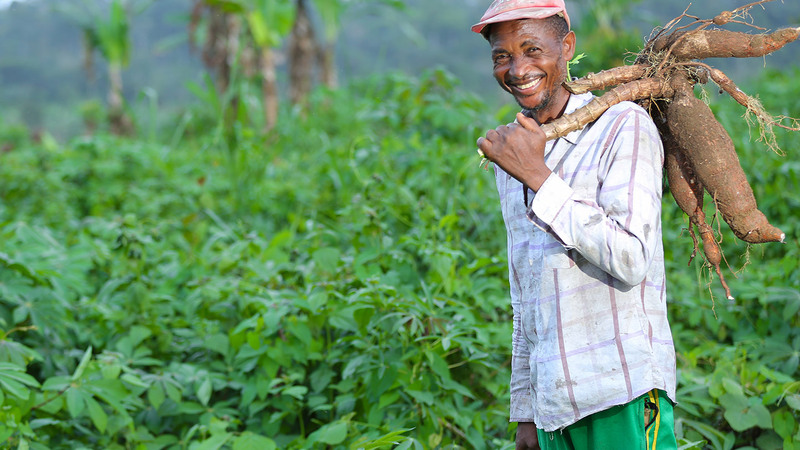 At Nestlé, we believe in the philosophy of Creating Shared Value (CSV). It is our belief that for a company to be able to create value for its shareholders, it must also create value for society. 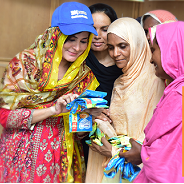 Nestlé Pakistan, as part of its global and local obligations, believes in Creating Shared Value for the communities it works with. The health of our Company is intrinsically linked to the health and resilience of the society we operate in; this is why Nestlé’s purpose is to enhance quality of life and contribute to a healthier future. At Nestlé, social responsibility does not end with a few philanthropic activities. Instead, CSV is embedded in our business model; where direct engagement and support to communities is extended across the value chain. This adds value to the business and supports socioeconomic development for the communities. Pakistan is a developing economy where more than 60% of the population lives in the rural areas. There is a huge potential for rural development, particularly in the livestock sector where companies such as Nestlé are adding real value for improving the quality of life for rural communities. From offering quality products to consumers and providing a fair and diverse work environment for our employees; from capacity building and knowledge transfer to our partners and raw material providers, to implementing responsible sourcing models into our relationships; from supporting under privileged communities to working with small farmers; from enhancing sustainability and environmental friendliness of our operations to embedding ethical and transparent business practices, CSV is entrenched in the entire value chain of Nestlé. Our global focus areas are firmly embedded in our purpose. Individuals and families, our communities and the planet as a whole are interconnected, and our efforts in each of these areas are supported through our 42 specific commitments. These commitments will, in turn, enable us to meet our ambitions for 2030 in line with the United Nations Sustainable Development Goals (SDGs). Additionally, ethical business practices, transparency and consumer trust – based on high quality products with a focus on Nutrition, Health and Wellness – remains the hallmark of our core business. The company is committed to the stakeholders and the communities for mutual growth and sustainability. Based on the strong foundations of compliance and sustainable business practices, this is the Nestlé way of doing business. As we move into a new period in our company’s history, we will continue to evolve and strengthen our approach to Creating Shared Value as the way we do business ensuring that this approach continues to inform all our behaviors, policies and actions.